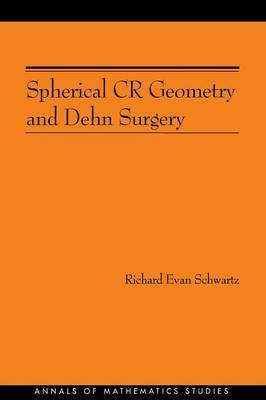 This book proves an analogue of William Thurston's celebrated hyperbolic Dehn surgery theorem in the context of complex hyperbolic discrete groups, and then derives two main geometric consequences from it. The first is the construction of large numbers of closed real hyperbolic 3-manifolds which bound complex hyperbolic orbifolds--the only known examples of closed manifolds that simultaneously have these two kinds of geometric structures. The second is a complete understanding of the structure of complex hyperbolic reflection triangle groups in cases where the angle is small. In an accessible and straightforward manner, Richard Evan Schwartz also presents a large amount of useful information on complex hyperbolic geometry and discrete groups. Schwartz relies on elementary proofs and avoids quotations of preexisting technical material as much as possible. For this reason, this book will benefit graduate students seeking entry into this emerging area of research, as well as researchers in allied fields such as Kleinian groups and CR geometry.